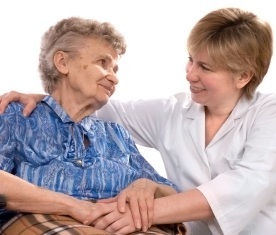 Heliosa provides professional and sensitive nursing care and support by nurses experienced in all types of elderly care. A GP is attached to the home and visits daily or as needed, as well as a local pharmacy who deliver medications daily. Our nurses are chosen for their compassionate and caring nature, and their understanding and experience in elderly and dementia settings. They are able to provide 24 hour nursing and medical attention to patients with all types of conditions. Our prime concern is to manage pain, promote dignity, deliver a person-centred approach and provide a support system to the resident and those close to them. Our peaceful environment and comfortable rooms, along with gentle, caring staff, provide residents with a sense of family and restfulness. Family are encouraged to spend as much time as the resident wishes with them and staff are always there to listen. Respect for the choices people make for the end of their life is always given.